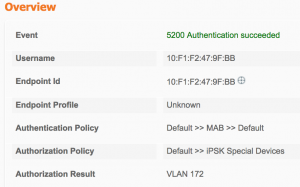 With WLC Code v8.5, Cisco has introduced a new feature called Identity PSK, also referred to as iPSK. This post is intended to explain the purpose and benefits of iPSK, as well as show you how to configure the WLC, and ISE for iPSK functionality. 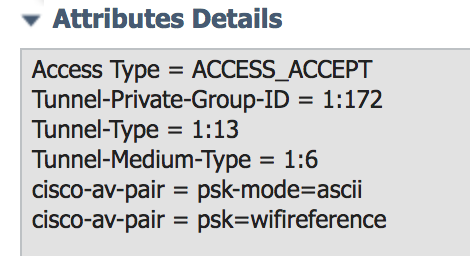 Traditionally, on a WLAN that is configured with PSK security, all devices share the same PSK. Identity PSK is a feature that allows multiple PSKs (a unique PSK per client, if you so desire) to be configured on the same SSID, while optionally providing different levels of access to each client. While this technology is not new to the industry (some other WiFi vendors have had different flavors of this available for quite a while), this is the first time we have been able to accomplish this on Cisco hardware. Because it integrates with a RADIUS server, you can centralize the list of your clients/PSKs, instead of having to maintain lists of them on each WLC. Why not just use 802.1x? Because you may not be able to. In many environments, you will encounter clients that do not support 802.1x. Some common examples include older barcode scanners, medical devices, and building control devices. iPSK allows many of the luxuries of 802.1x, while using clients that only support PSK. 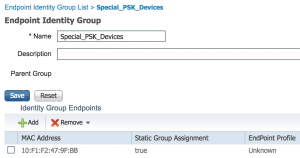 What is the purpose of Identity PSK? Let’s say you manage the wireless network at a large hospital. Only recently have medical devices such as IV Pumps and Mobile X-Ray Carts begun to support 802.1x wireless networks. Even if you are fortunate to have some of the newer devices that support 802.1x, chances are pretty good that some of the devices you are forced to provide connectivity for are likely upwards of a decade old. If you’re lucky, those devices are capable of connecting to a WPA2-PSK network, and not limited to WEP! Many times, the manufacturers of each of these devices will want their devices to be the only type of device on that subnet. As a result, you have been forced to create multiple PSK SSIDs, so that each type of device (IV Pumps, X-Ray Carts, etc.) can have its own VLAN. We all know the negative performance impact that each additional SSID can have on an environment. Wouldn’t it be nice to be able to consolidate all of these different devices down to a single PSK SSID, and still be able to provide differentiated access to them? Enter Identity PSK. You manage the wireless network of a school district, and your district purchased low-end netbooks that only support PSK. You are aware of the security problem that exists if someone gets a hold of the PSK, and shares it with someone… and you know they will. Identity PSK would allow you to have a unique PSK for every one of the netbooks, and the PSK would be bound to the MAC address of the netbook itself. If an attempt was made to use that PSK on another device, authentication would fail. 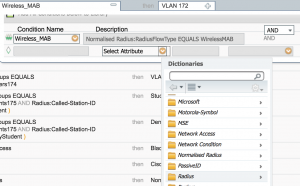 When a client authenticates to the wireless network, the WLC checks with the RADIUS server to see if the MAC address exists in the authentication policy. If it does, the RADIUS server will respond with an ACCESS-ACCEPT, including the PSK as a Cisco-AVPair (in either ASCII or HEX, depending on how it is configured). The ACCESS-ACCEPT doesn’t necessarily mean that the client will be allowed on the network. At this point, the WLC has not yet verified the client’s PSK to the PSK stored in the RADIUS policy. 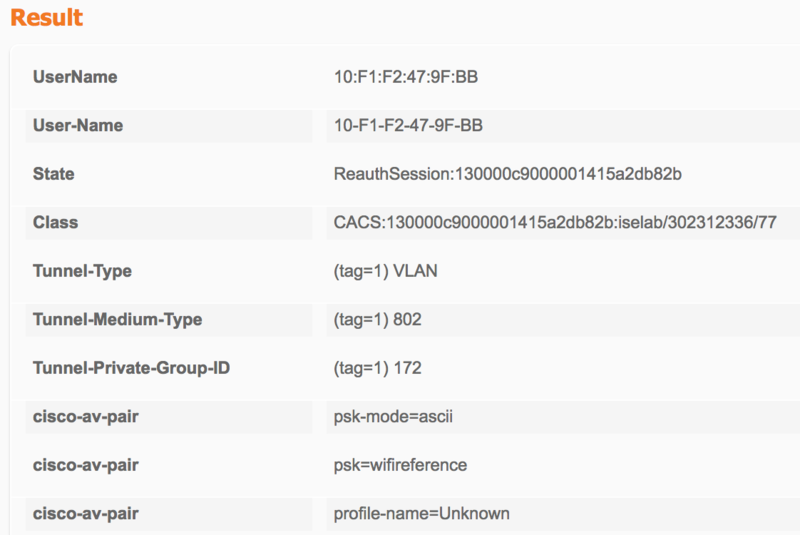 The WLC will now compare the PSK in the RADIUS response, to the one the client used to authenticate to the network. If the PSKs match, the client will be allowed on the network (and any additional attributes sent by the RADIUS server, such as VLAN, QoS or ACL will be implemented). It is important to note that the WLC does not send the PSK used by the client to the RADIUS server. Your WLC will need to be running at least 8.5 code, and you will need to have a RADIUS server configured. Virtually any RADIUS server will work, but some are more easily configured for iPSK than others. It is not possible to implement iPSK without a RADIUS server at this time. Microsoft NPS: Works with iPSK, but is cumbersome to use, because all client MACs must be created as users in Active Directory (with the MAC address as the user and password). If not configured properly, this could be a significant security risk (many “generic” users/passwords in AD is not a good thing). These users should be put into a group with no file/print permissions. 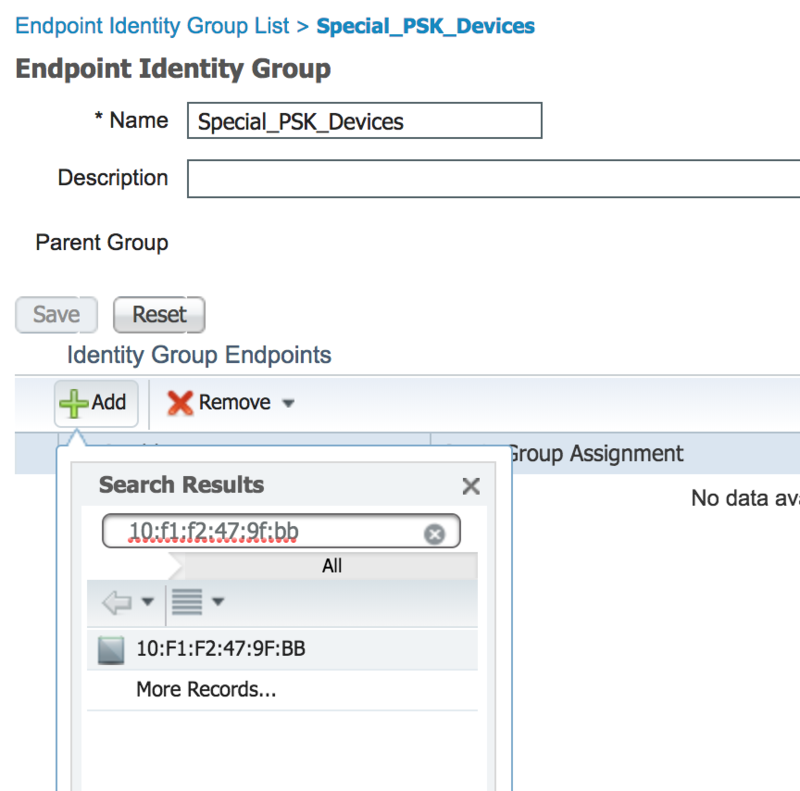 Cisco ISE: Easier to use with iPSK, because the client MACs can be assigned to Endpoint Identity Groups, and don’t have to be created as users. Unfortunately, ISE costs money, and many customers already have Windows Servers in their environment that can run NPS. Do all of my clients need to be in my RADIUS policy? No! I think the most practical approach to iPSK is to use a “common” PSK for most of your clients, and use unique PSKs for clients that you want to assign different VLANs, ACLs, or QoS policies to. 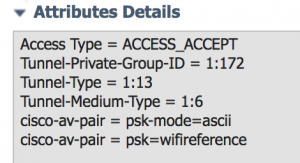 In order to have a “common” SSID (not bound to specific MAC addresses), your RADIUS policy must have a rule that returns an ACCESS-ACCEPT, with this PSK as a Cisco-AVPair. Typically, this rule will exist directly underneath the rules for specific clients/PSKs. The PSK that you configure on the WLC may actually not be used at all, if you are using unique PSKs for your clients. You can still use a common PSK for most clients, but it will need to be configured in the RADIUS policy. For simplicity, I usually input the “common” PSK in the WLC as well, because you must configure something in the PSK field. Configure the SSID to point to the AAA server(s) that you have configured for iPSK, just as you would for a typical 802.1x SSID. This can be the same RADIUS server that you are using for 802.1x, but your authentication policies will have to be written so that they don’t conflict with one another. 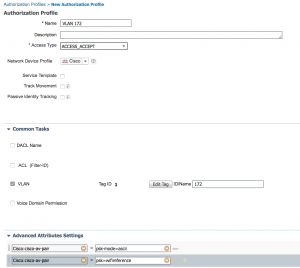 Ensure that CoA is enabled, if you are using Cisco ISE as your RADIUS server. Also ensure that you have your RADIUS server configured as a AAA Accounting server in the WLC, as well as a AAA Authentication server. 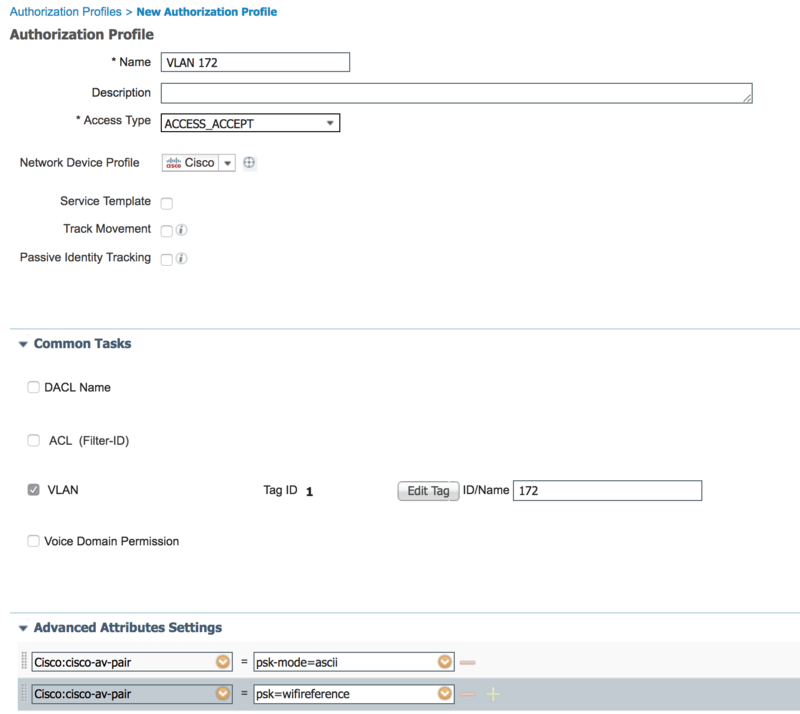 If using Cisco ISE, choose NAC State: ISE in the Advanced section. This setting is not required for other RADIUS servers. That’s it! In order for any client to connect to this SSID, your RADIUS server must be configured for iPSK. Now you must configure the RADIUS server to authenticate your clients. For the purposes of this guide, we will assume that ISE is already functioning in your environment (the WLC is configured and tested as an authenticating network device, etc.). 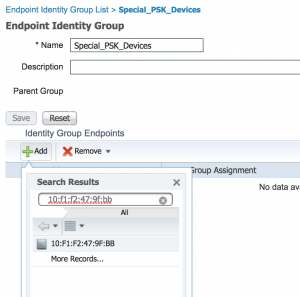 The menu structure and screenshots in this guide will reference Cisco ISE v2.2, but any version of ISE can be used with Identity PSK. 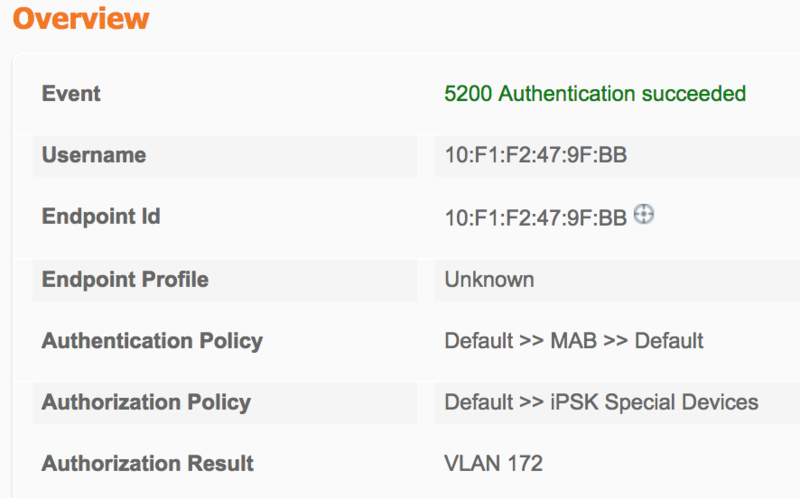 Reference these groups in your authorization policy, and return the PSK for that group as a Cisco-AVPair in the Authorization Results (we’ll get into the details on the AVPair, below). Reference the specific devices in your authorization policy (returning AVPairs with the PSK and differentiated access attributes). This can be done individually, or in groups. In order to accomplish this, you will need to create an authorization rule for each device, and return the unique PSK for that device as an AVPair. I’m going to focus on Scenario 2 above, since this seems to be the most common scenario that I encounter. Also, it covers all of the necessary configuration steps required to meet any of the scenarios above. Repeat this process as many times as you need, depending on the different levels of access you want to provide to different groups of clients. Now we need to create an Endpoint Identity Group that contains the MAC addresses of the clients that will be authenticating to the network. In this example, I’m only going to include the MAC of a test client, but in the real world, these groups will usually contain large lists of MAC addresses. The important thing to note is that this group of MAC addresses will be referenced in the RADIUS rules, and treated as one group of clients. These groups of clients must all have the same PSK, and must all receive the same level of access. You’ll want to segment your clients into different groups, if you want to differentiate access between them. You only need as many Endpoint Identity Groups as is necessary to meet your differentiated access requirements. This ruleset acts much like a firewall rule base, in that it is referenced top-down, and the first match wins. As a result (pun intended), you must be very careful about the order of your rules. More specific rules are usually above the more general rules. You may also have device management rules in this list (for logging into the WLC, etc.). 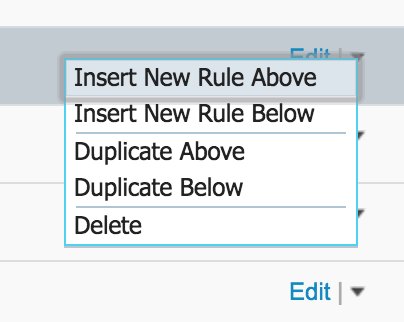 Be careful to make each rule specific enough so that it won’t accidentally be referenced by another connection type. For purposes of simplicity, we will create a rule at the top of the list, so that we know it will get hit with our connection. Note: The Pencil in the left column indicates that this rule has not yet been saved/applied. You must save your changes on this page before the rule can be tested! Pro Tip: If you are going to use this information in your rule, you will want to verify that your WLC is configured to send the SSID as part of the Called Station ID RADIUS Attribute. In the WLC, Select Security > RADIUS > Authentication, and verify that the “Auth Called Station ID Type” has the SSID at the end of the string. Most commonly, this will be set to AP MAC Address:SSID, which means the attribute will include the MAC of the AP the client is connected to, and the SSID the client is connected to, separated by a colon. Now we need to create a rule for the clients using the “common/general” PSK. Remember that even clients using the PSK that is configured in the WLC must receive an “ACCESS-ACCEPT” from RADIUS, in order to be allowed on the network. That means there must be a rule in RADIUS that allows this connection. You can now test your iPSK configuration! At this point, you have successfully implemented iPSK! You can now build on this foundation, and create rules for multiple groups of devices, with different PSKs. Because if you don’t have a 1:1 mapping between the specific devices and PSKs, there is no way to define which PSK maps to which device. If you didn’t map them this way, you could have multiple “correct” PSKs for a connection, and that would lessen the security of the network. Question: If I have 100 users, do I have to manually create 100 Av pair pass-phrases on ISE? I’ve read the other articles and it says each device can have one pass-phrase, but how does ISE automatically generate the pass-phrase? It depends. You don’t have to, but you can. ISE doesn’t automatically generate any of the pass-phrases. You have to manually enter them all. But, you can write the policy in such a way that there is a “general” PSK used for most of the devices, and other specific PSKs for devices that you want to override settings. If the policy matches a device by its MAC, you must have a specific PSK for that device (and define it in the policy). I differentiate my wireless ISE policies in a different way. 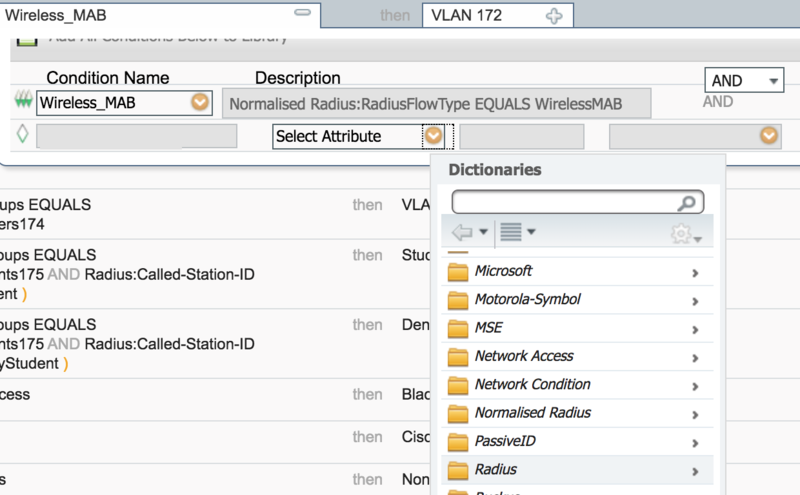 Instead of modifying Calling Station ID on the controller and filtering by that in the ISE rule, I use Airespace:Airespace-Wlan-Id. 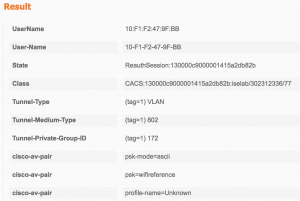 WLAN ID corresponds to the number next to your SSIDs under the WLANs section of the controller. The advantages to this are it’s one less step (controller CSID change) and if you change an SSID name for some reason, it doesn’t affect your ISE policies. I’ve had clients that like to change their minds on SSID names multiple times over the course of a project……..
Great article! Pretty cool if you want a seperate PSK per individual permission. However if you use the same PSK you could do the exact same thing with different MAB tables and different Permissions for each of those MAB tables. If you are changing Vlan/interfaces per group and it is secure by MAB table basically same thing your trying to accomplish with different PSK. 1) MAB group A you receive permission of Interface A and ACL A. 2) MAB group B you receive permission of Interface B and ACL B. If your ACL says clients in A cant talk to B and B clients cant talk to A. Then is there any security concern using the same PSK? Is encryption different using different PSK? I completely understand purpose of you article is to show how to use multiple PSK with single SSID which is cool but is it necessary if your going to have seperate MAB tables already? I see it being simpler if you don’t do seperate PSK’s because then you have to build out the results for each and have to hand out seperate PSK’s. Please let me know if I lost you or I don’t make sense. I tend to ramble. You certainly make a valid point, and your approach would work on older controller software that do not support iPSK. One of the benefits here is that you can elevate permissions with a different PSK, which will only be valid for certain clients. In the event that a PSK gets compromised, the impact is somewhat minimized.